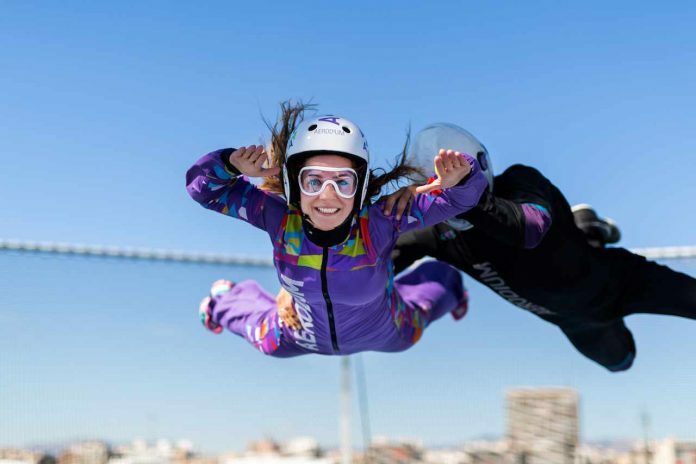 Spain’s first outdoor skydiving simulator will open in May 2019 above the municipality of Campillos in Malaga. Available to anyone aged 5 to 95, the Fly4Real simulator is the perfect way to find out what skydiving feels like without jumping out of an aeroplane. The simulator recreates the freefall portion of a skydive by allowing you to fly on a column of air. You experience the wind rushing up at you, holding you as you learn to fly your body through the air. You will be guided, supported and taught by experienced professional instructors. They work with you one-to-one so you can go at your own pace and do what you feel comfortable with. Most people can do it and experience the rush, without the fear factor and in total safety. If you are fit and healthy, with good mobility, then you can fly! The blue skies and sunshine of the Costa del Sol are also the perfect Instagram backdrop for your shots. How much does it cost? There are various skydiving packages available, ranging from a 24,000 ft freefall (one hour experience, two minutes in the air) to a 72,000 ft freefall (two flights, six minutes in the air). Prices start at €52.